The Comcast Digital Connectors program trains youth ages 14-21 from diverse, low-income backgrounds in Internet and computer skills. 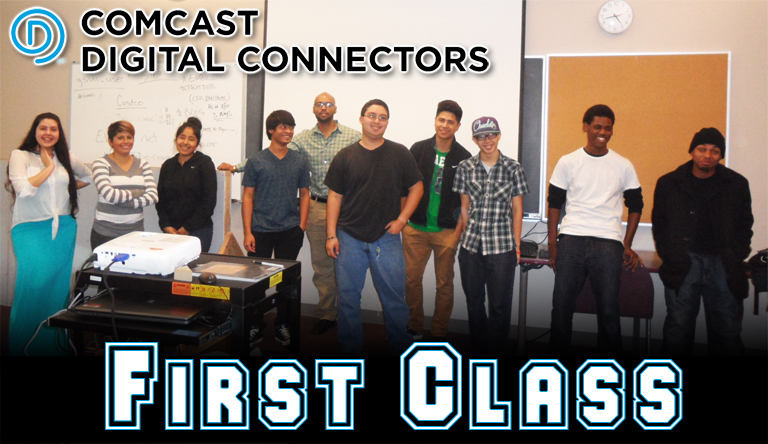 Teens meet weekly after school and have the option to earn a Cisco IT Essentials certification of completion. Teens learn digital media concepts – video editing, programming, graphic design and animation. Comcast Digital Connectors is a community service program, as participants volunteer throughout the community and spread digital literacy in our community. Through training and service, Comcast Digital Connectors is preparing today’s youth for the jobs of tomorrow.